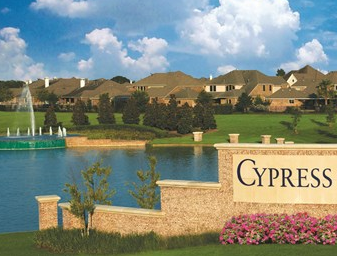 Cypress Texas is one of the top areas to live in the Houston area. There are many great subdivisions in Cypress, as well as things to do. Cypress has a population of over 174,000 people and growing at a very rapid pace, seems like new restaurants seem to open every week, along with stores and places for entertainment. Big City Maids is very excited to offer cleaning services to the Cypress residents, offering discounts with weekly and bi-weekly services. Big City Maids offers deep cleaning, standard cleaning, move-in and move-out cleaning services. Check our social media pages, follow us and like us to receive special promotions. Click here to visit our Facebook, Twitter and Instagram pages. Home to CFISD, the third largest school district in Texas, and ranked among the best in the state. CFISD has a reputation of having a great administration and great teachers. CFISD also has top-notch facilities, the Berry Center is a state of the art stadium and many schools are impressive, specially Bridgeland High School located in the Bridgeland subdivision. Towne Lake is full of entertainment options, above all, a great choice to live in. 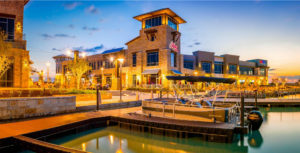 The Towne Lake Boardwalk is home to many popular restaurants like Torchy’s Tacos, The Cheese Bar, Sam’s Boat, Mod Pizza and many more excellent dining options. The Towne Lake Boardwalk is also home to Texas Children’s Pediatrics, Reserve Salon & Spa, LUX NOA Nail Spa, Purre Barre and other wellness services. Cypress is one of the best places to live in, as a result, there are many good options. Bridgeland Master Planned Community is a must see, Bridgeland has everything a family needs without leaving the community. Towne Lake as mentioned before is a destination with all the dining and entertainment options available. Coles Crossing is an excellent subdivision of beautiful homes. Riata Ranch, Enclave at Northpointe, Enclave at Longwood are also great options. Great schools and great entertainment options, certainly make Cypress a great place to live in.